From Thursday 24 January to Sunday 27, FC Barcelona's football schools around the Asia Pacific region will be enjoying the first edition of the Barça Academy Cup APAC on the Barça Academy Delhi NCR's grounds at the Gurgaon Heritage School. This first edition features more than 500 players from 7 to 15 years of age from 6 different countries: Australia, Japan, Singapore, China, India and two teams at the Barça Escola Barcelona. 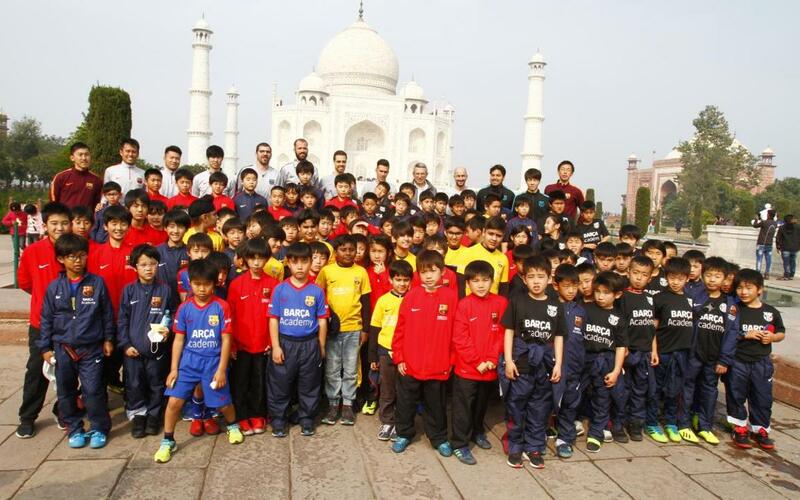 The APAC Barça Academy Cup will bring together half a thousand athletes of major cultural diversity, which is sure to offer a highly enriching experience on both a personal and competitive level for the participants, as it involves teams from the four Barça Academy schools in Japan (Shinagawa Oimachi, Fukuoka, Katsushika and Nara); the three from India (Delhi, Mumbai and Bangalore); four from China (Chengdu, Qingdao, Kunming and Lijiang); the two from Australia (Sydney and Brisbane), and the ones in Singapore and Barcelona. The players will be able to enjoy a few wonderful days in which the Indian capital will be living and breathing Barcelona, including the chance to take part in workshops on typical Indian traditions in between matches, and to see some of the most important sights in the country, such as the Taj Mahal, considered one of the seven wonders of the world. 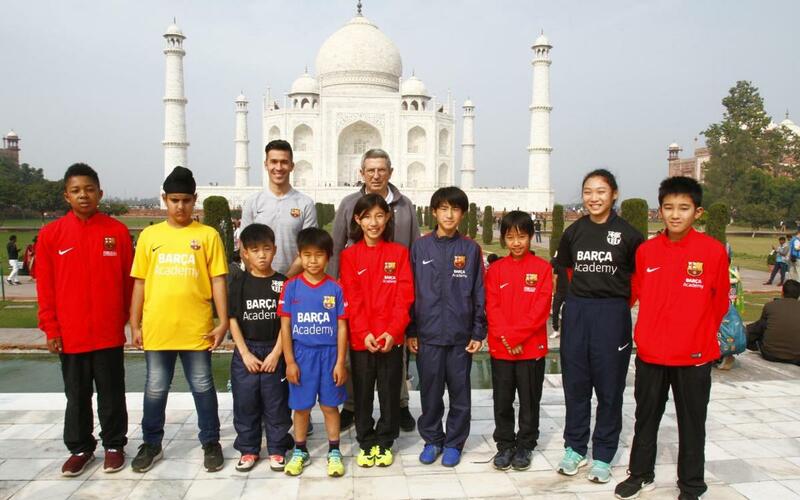 Today Wednesday, the players from the Japanese Barça Academy were able to go to Agra to take a guided tour of the Taj Mahal, joined by FC Barcelona board member Pau Vilanova and former first team player and current Barça Legend Luis García, who is attending as patron of the first edition of the tournament. The competition will be played in four categories, each with its own regulations and specific duration. The U9 teams are playing 5-a-side in 30-minute games, while the U11s and U13s are playing 7-a-side with 40-minute matches and the U15s are also playing 7-a-side but with 50-minute games. While in India, both Pau Vilanova and Luis García will also be holding meetings with different Barça groups in the country, such as the members of the Penya Barcelonista FC Barcelona Fan Club India, who Vilanova met on Tuesday afternoon and who on Friday will be enjoying a football masterclass with Luis García.